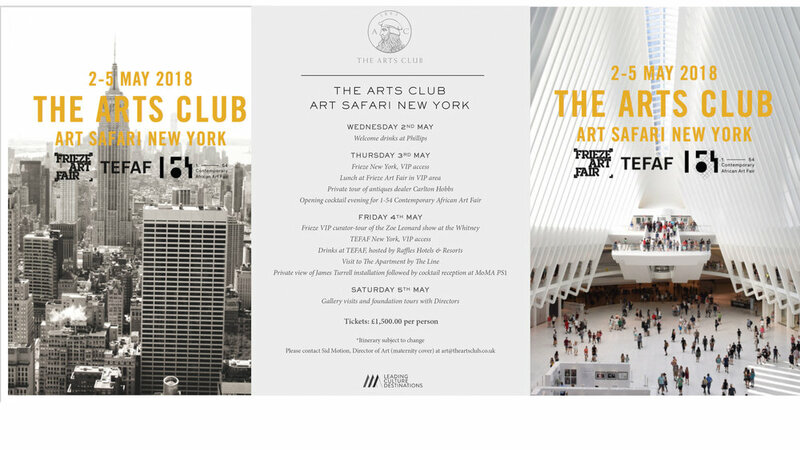 Leading Culture Destinations, in partnership with The Arts Club is pleased to offer a unique chance to access New York’s art scene in its peak season. The guests will get VIP access to all three key art fairs, Frieze, TEFAF and the 1-54 Contemporary African Art Fair in Brooklyn. Our guests will also be invited to a private view of the James Turrell installation for a unique sundowner experience, followed by a cocktail reception at MoMA PS1. The offer is limited to 30 guests; preferred rates at hotel available upon request. Give us call if you’d prefer to chat with us one on one.